Sorry for not posting but I have been VERYBUSY!! Got one and all the thanks goes to black dragon. Ok, anyone heard of pikim 3 maybey on wii!? Top Tip: On super mari galaxy Luigi is only playable after getting all the stars and then beating bowser. Wii world neeeds a good avartar and I’m on the subject now, more information will be posted later. 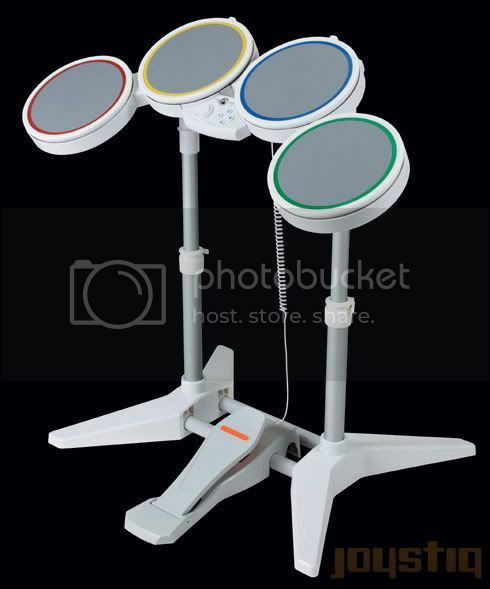 No, this is not some new buzz game, it’s a drum set for wii. It from the game rock band for wii! Yep, as you can see, singing and Guitar playing are also in it! 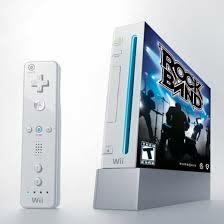 And they have a skin for it on the wii! I think I might just get into this bit, time for me to get my nose wet. True fake, but there will never be another mario kart game on wii, another one will likely come out in the next nintnedo materpiece! My pokemon ranch? True I do like pokemon now but this game is out on wii world and after reading the info on it, I think this game takes the aim of the game for pokemon out and burns it! You don’t catch, train or battle pokemon! 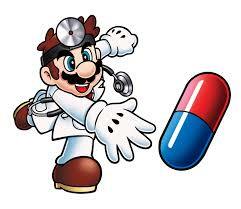 Doctor Mario and germ buster! Great game I’ll tell you that, and it’s for wi-Fi! Woot woot for mario. Germ buster is in more brain training. (hit the last training game it;s at the bottom and it’s not unlockable by playing the game a number of times, no you have to tap it to unlock it, cool, eh?) And all this and Doctor mario is on wii ware! Ok, images and wii ware are cleared up how about a top tip! Free wii points? no! Yes! Well sorta! You don’t have to pay, this is what you do in steps! First join Nintendo.com, a place that lets you enter codes you get in your box on your DS games and Wii games. You get stars for that. Now click buy wii points with stars, and join that. After you have to go and connect your wii shop channel to the nintendo channle and you can find that in options on the wii shop channel. After a few days click the link you the wii points shop again and log in. You should beable to buy wii points with stars! You get them and they give you the code, go onto the shoping channel and click redeem wii points and put in the code. Done and dusted, mind you it DOES work and I have got Super Mario bros 2 because of it!!! No real updates for wii but the nintendo channel is avilable. I don’t know if you have to conect your wii to the nintendo website to get it but info time! On this channel you can watch videos of new games, about wii ware newst relieses ect. You can also find basic info on game, wright feedback and download demos for your ds! Great fun it is, and now you can try out agame before buying it! Thats all for now, and thank you for reading wii world! I’m addicted to this game! I don’t know how I managed to get off it to come online for a bit but I did. R.O.B- What is R.O.B I don’t have the best idea but I rhought i heard he was something that you got with Nes. Someone please explain. Anyway…Spolier elert! Big gasp from me but R.O.B is now my favorite fighter, well he is ontop of my list! Yes even if I HATE sega, I still do like Sonic and even if I didn’t like the fact he was in brawl he is still a good fighter! Snake is also great, with his box and bombs! Why the heck haven’t I seen it before! Brawl is the best fighting thing ever to hit wii! I have played it none-stop for two days. It’s got class new stages! Luigi’s mansion! Green hill zone! Pirite ship (Toon-link) I can safely say, brawl is not going to get old for long time! I almost forgot about todays top tip! You can gues what game it’s for, brawl! and theres two because ones quite crappy! Top tips-Super smash bros brawl. The amount of good charecters on brawl is….all of them. If you like everyone and can’t choose, pick Kirby. He can float and copy others attacks so you getting abit of both. Also Toon Link, Jigglypuff and Wolf are unlockable in mulible ways. The easyist is to go on adventure mode. 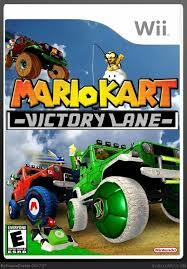 But you can’t get them there intill you go to the correct level after beating the adventure mode. Jigglypuff-The swamp Toon link-The forest Wolf- The ruins. And everyone have a ball on brawl!